Nine days of devotion, tradition, fun, colours, dance, music, food, and togetherness. Indian festivals are full of colours and Indian families love to spread the colours of joy. This Navratri, give your house a colourful look by decorating it with traditional and ethnic Indian art. These ethnic home décor ideas for Navratri are eye-catching and will enhance the festive flavour of the house. Festive season means social gatherings and frequent visits to friends, relatives, and guests. Invite your friends and family to your beautiful home and spread the joy of festivity. Hence just go desi this Navratri with these ethnic home decor ideas! 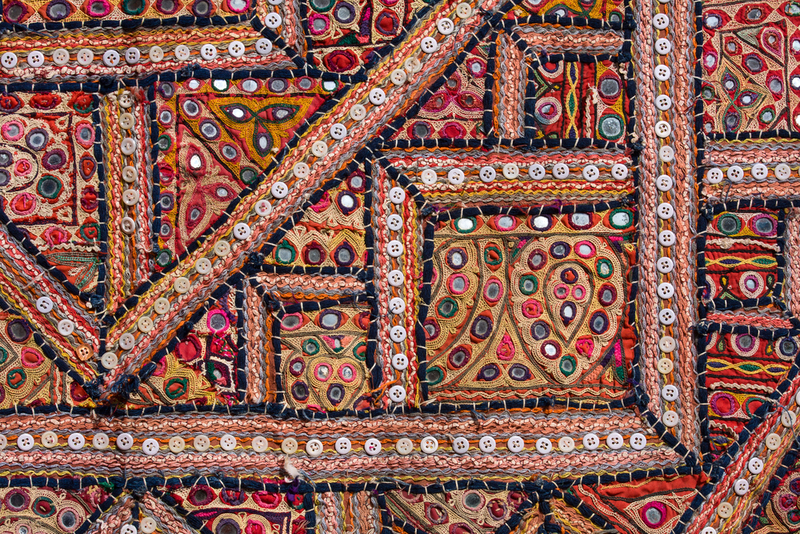 A patchwork is a traditional form of artwork done by the artisans of Gujrat and Rajasthan. 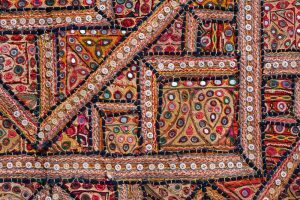 It is a very colourful and intricate artwork done with fabric pieces and threads. Therefore, get a patchwork carpet for your room today as this colourful carpet will add texture and vibrancy to your living room. Indians love colours so why not to display this love in your home interiors this festive season. Cushions and pillows are the most favourite elements of home interior designers. 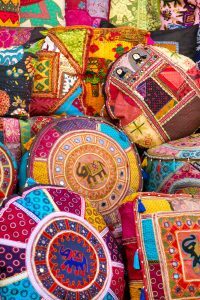 Hence, this Navratri you can jazz up your sitting area with some cushions with ethnic work. 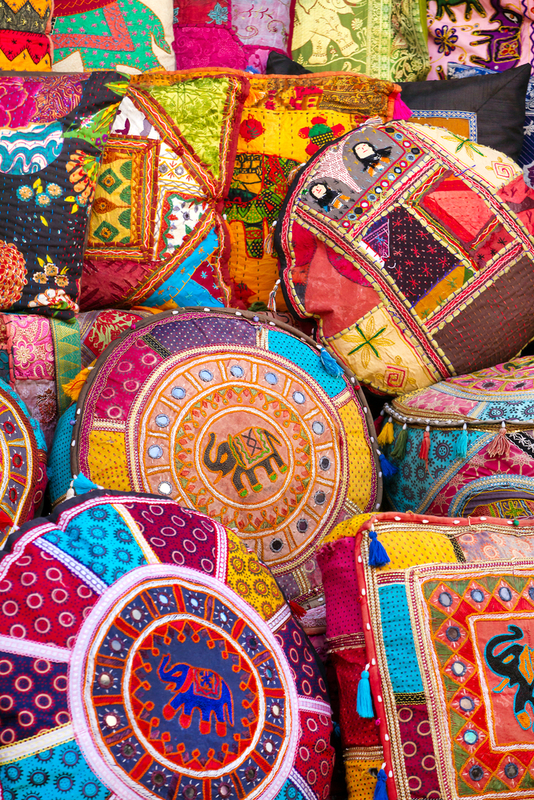 From mirror work to colourful embroidery, every kind of cushion is available in the market. If you have earthen pots lying unused at home, you can use them for decorating your staircase. And if you don’t have you can buy easily from the local market. 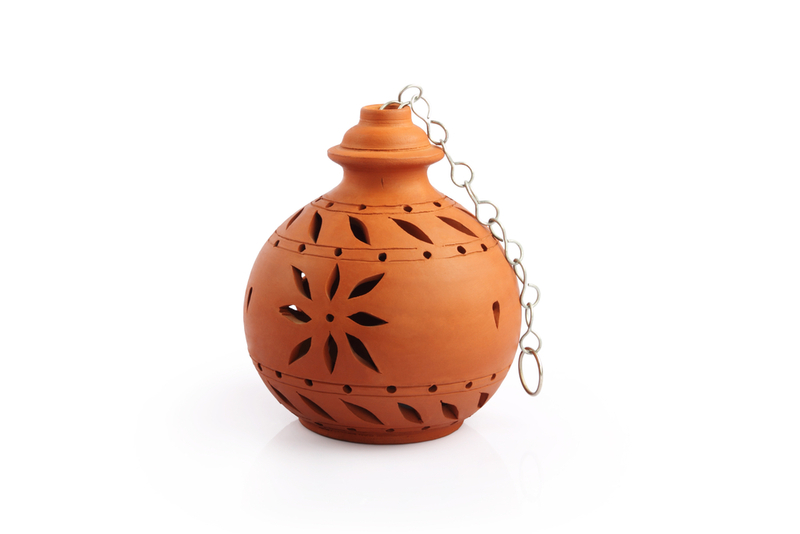 Decorating earthen pots in your home is one of the most reasonable and easiest ideas for giving it an ethnic look. 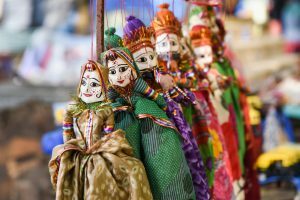 Rajasthani puppets are a good option to decorate your hallway or your staircase area and are easily available in the market. These puppets are made up of cloth and wood and have been an integral part of Indian handicrafts for a long time. 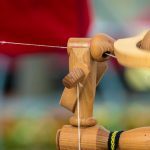 Therefore, you can use these puppets to break the monotony. 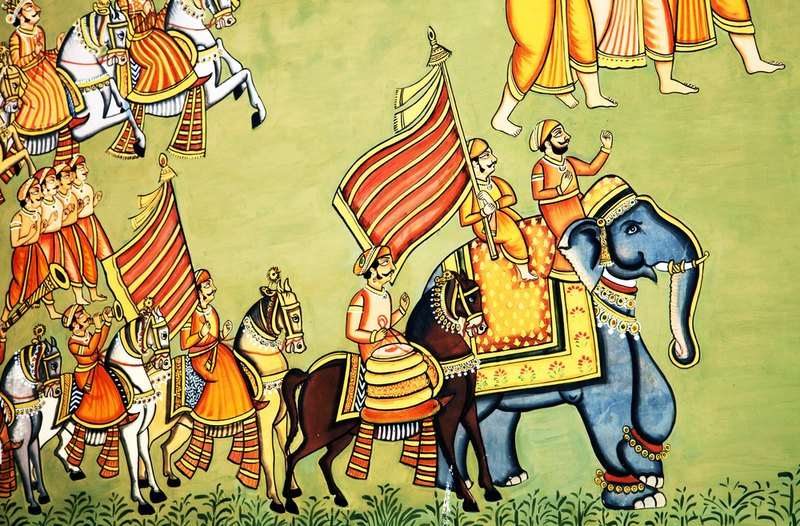 You can simply create your own ethnic wall by hanging old paintings, ethnic artwork, murals, jharokhas, Tanjore paintings, masks or just a DIY artwork. In addition to these, Rajput paintings are Rajput painting is an exquisite piece of art which evolved during the rule of Rajputana in India. Also, the colours used in the paintings are extracted from natural sources. 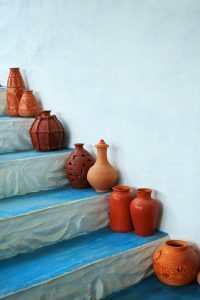 Hence, it is one of the best ways to create an ethnic wall in your house. 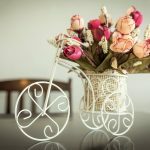 Buy some traditional room dividers and bells to decorate your balcony space or for dividing rooms. 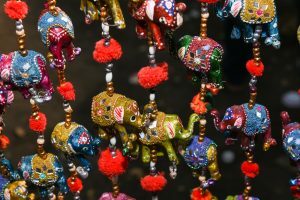 You can use these little elephant hangings as room dividers or just hang it outside your pooja room or pooja unit. Decorate your side-tables or corners with cane baskets. Cane baskets are weaved by our skilled artisans throughout India. 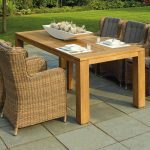 These are eco-friendly in nature and light-weight. 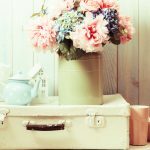 Cane basket is a beautiful, decorative as well as a useful piece for every household. 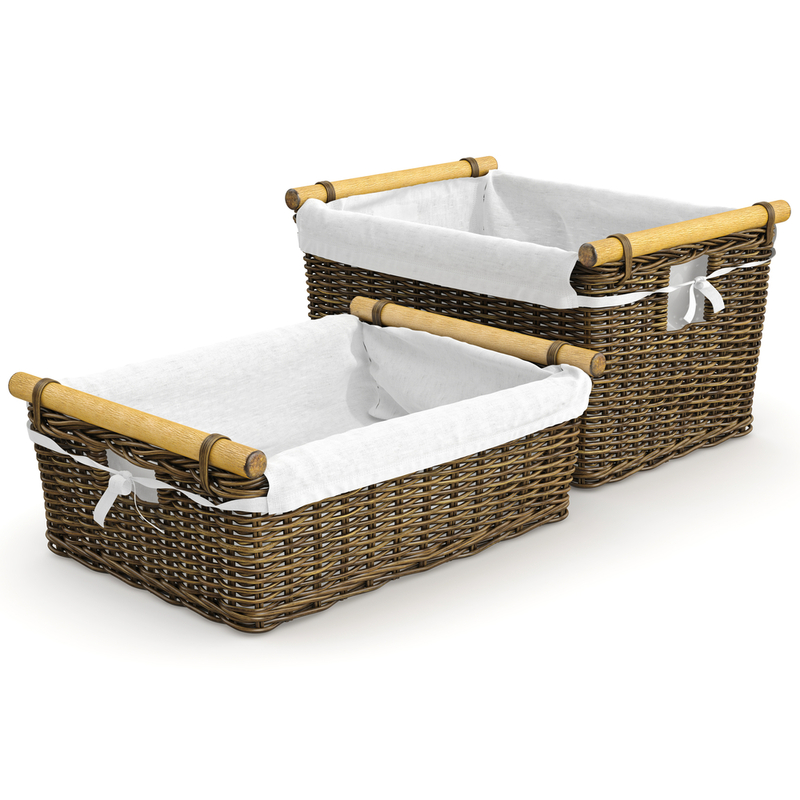 In addition to this, you can also use the small cane baskets for gifting purposes. 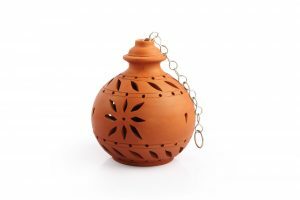 Get designer terracotta lamps to decorate a corner. These terracotta lights gleam in the night and illuminate the whole space. Samai is a metallic diya stand generally used in South Indian houses. It is available in silver and bronze. 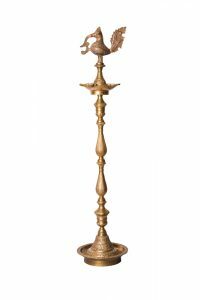 You can buy a traditional Samai and place it in your pooja room. Dusshera is the end of Navratri and is celebrated all over India with pomp and vigour. Thus, people enjoy Dusshera to the fullest. 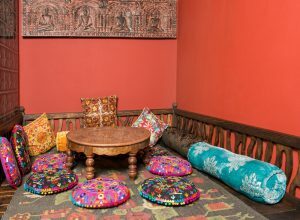 Dress up yourself in traditional attires and give a traditional look to your house with these ethnic home decor ideas. Hence, this time, celebrate Navratri in an ethnic style and spend your time with family inside your house.